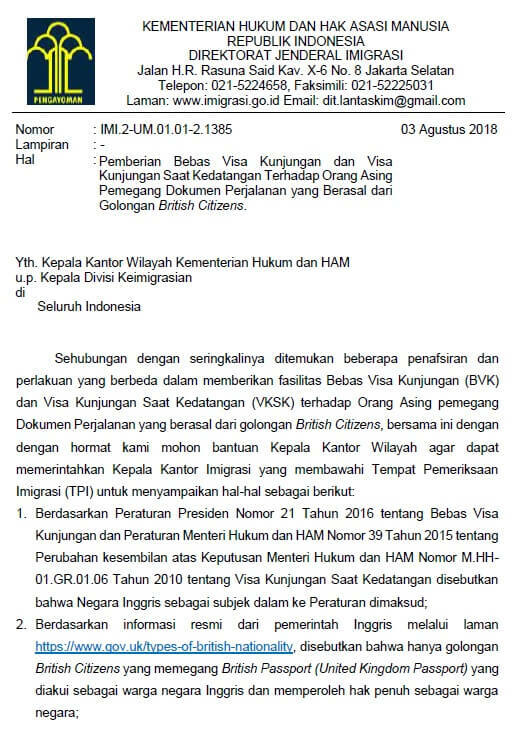 Please refer to notice from the Directorate General of Immigration (Ministry of Law & Human Rights) with regards to visa requirement for British citizens travelling to Bintan, Indonesia (with immediate effect). If you are holding a United Kingdom Passport that indicates British Citizen, this change does not affect you. 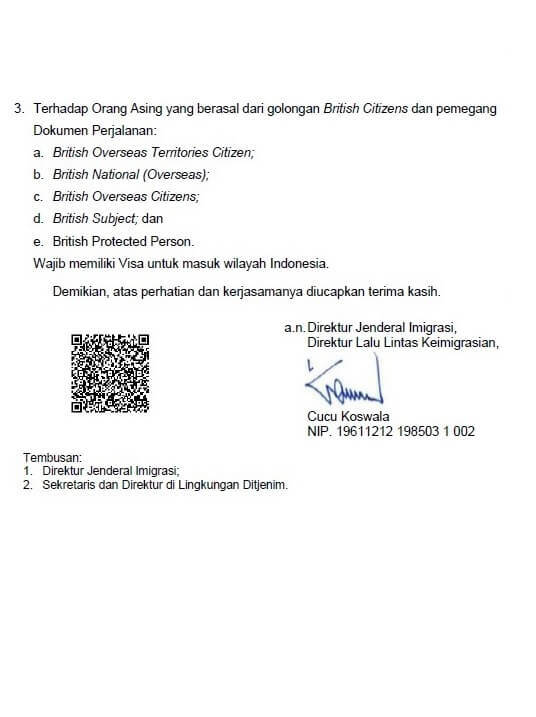 For clarification, please contact your nearest Indonesian Embassy.